Let’s be honest; the beach is a big attraction in Florida. However, not everyone wants (or can afford) beachfront property. That doesn’t mean you can’t enjoy time at the beach regularly. One great thing about the Naples area is that there are a lot of great beaches nearby. Here’s a look at some of the best beaches in Naples. You may want to explore them all before deciding on your favorite. You’ve got plenty of choices! Wherever you end up living in your retirement, it’s nice to have great shopping nearby. And while Naples has plenty of conventional malls and big box stores from which to choose, it also offers some unique shopping experiences in lively and fun places such as the well-known Fifth Avenue South neighborhood. For many retired people, golf is a favorite activity. Who wouldn’t enjoy being out on the course on a beautiful Florida day? The Naples area has an abundance of fantastic courses (both public and private). Here’s a look at just a few of the great golf courses in or near Naples. When you retire you may find you have a bit more time for fun events that you previously had to pass up. There are always things going on in the Naples area. Here’s a look back at some of the great events and activities that took place in Naples this past summer. We’ll keep you posted about upcoming events happening throughout this year—including farmers’ markets, musical events, art exhibits, and more. Taking good care of your health is one way to make sure you get the most out of your retirement. That means having good access to great healthcare. 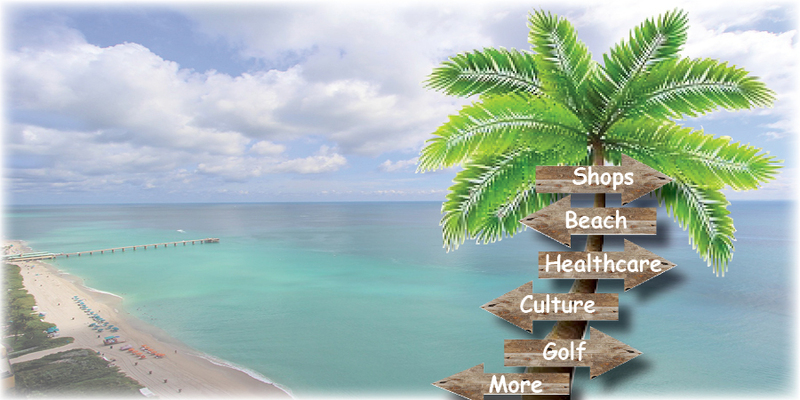 In the Naples area, you’ll find an abundance of superb healthcare facilities. Here’s an article that takes a look at some of the fine healthcare facilities within easy reach of your Naples home. If you’re looking for places to please your palate, there are plenty of great eateries in the area. And if you have a penchant for fine dining, you may want to check out this list of the top five restaurants in Naples. Even if you make Naples your new home, there’s a good chance that you’ll want to get out and about. Naples Airport (APF) handles more than 100,000 general aviation takeoffs and landings each year and is just minutes from downtown Naples and I-75. In addition to providing friendly services focused on the needs of pilots and passengers (including U.S. Customs clearing for international arrivals) the airport also offers sightseeing tours and air charter operators. If you've always wanted to learn to fly, the airport also has a flight school! If you plan to drive, I-75 runs through Naples and connects your to other parts of Florida—from Miami to the northern border (and beyond). A more romantic road also runs through Naples. The famed Tamiami Trail (U.S. Highway 41) passes through Naples and takes you on a trip through history past Everglades City all the way into Miami. You’ll catch glimpses of old Florida as you pass through Big Cypress National Preserve. If you chose Naples as your place to retire, you’ll have easy and convenient access to so many things that can make your retirement even more enjoyable!